Similar to many former East German cities, Potsdam a program of large-scale urban renewal and expansion. In many cities, such programs had resulted in faceless new developments, so Potsdam decided to take a different route, employing its princely past as inspiration. The tradition of extended landscape parks fostered by the Prussian kings and nobility was transformed into a plan to create a new northern urban district with as many as 7,000 new residential units. 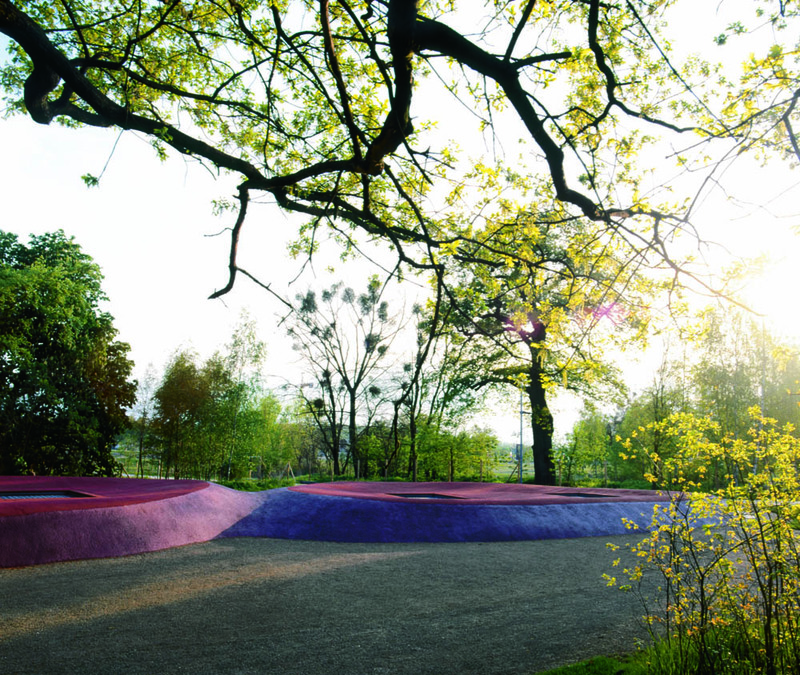 For the district’s heart, the Bornstedter Feld, a former Russian military training site, Bureau B+B designed the Waldpark, initially as part of the Bundesgartenschau 2001, an important country-wide gardening exposition. The city now had a 16-hectare park for everyday use, with sport and play facilities, as a supplement to its royal gardens, primarily of interest to lovers of culture and devotees of strolling. A requirement had been that the brutal charm of the still-present trenches, concrete elements and anti-tank walls remain intact. In addition the preservation of the site’s ecological value also remained a priority. 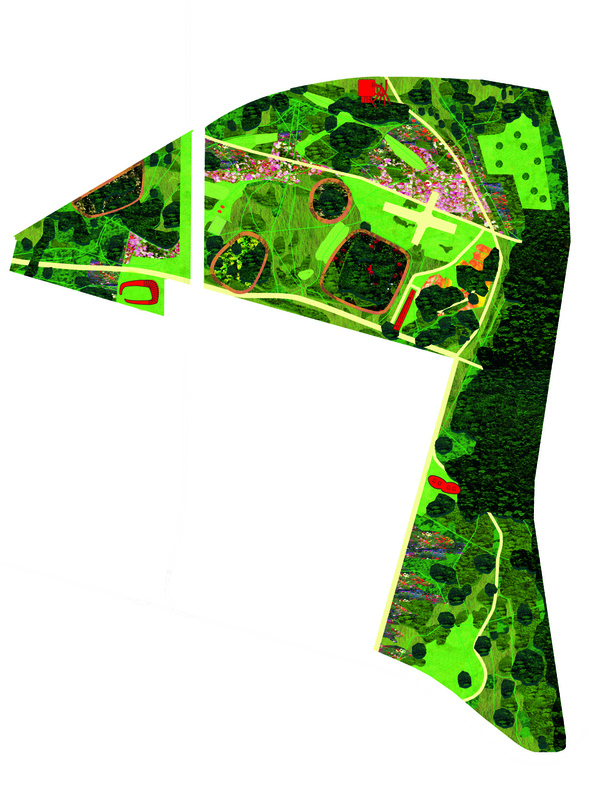 B+B took the challenge of designing on these terms with a result that considered recreation and nature conservation. With regard to the existing wood landscape and military paraphernalia little was changed, and simple interventions were sufficient to turn the rough area into a park. The firm’s free approach to the landscape – for instance the addition of recycled green glass to the loose-fill pavement, which sparkles by day and is illuminated by countless embedded solar-cell lamps in the evening – turned out to be an eye-opener for the German client. The terrain’s different biotopes were classified according to their respective degrees of sensitivity. 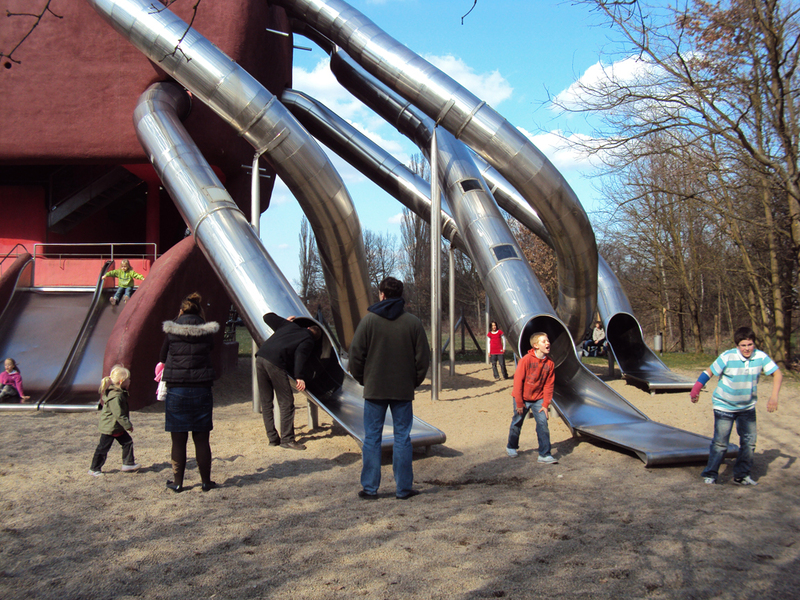 Thus, the number and location of paths were ultimately determined by how intensively the park is used. Where nature needs more protection, there are, quite simply, fewer paths. There are even a number of spots that are entirely inaccessible to the public. Ironically these inaccessible areas were not the greatest ecologically valuable spots, but those, due to breaking branches and the danger of falling trees, were selected for clearing. 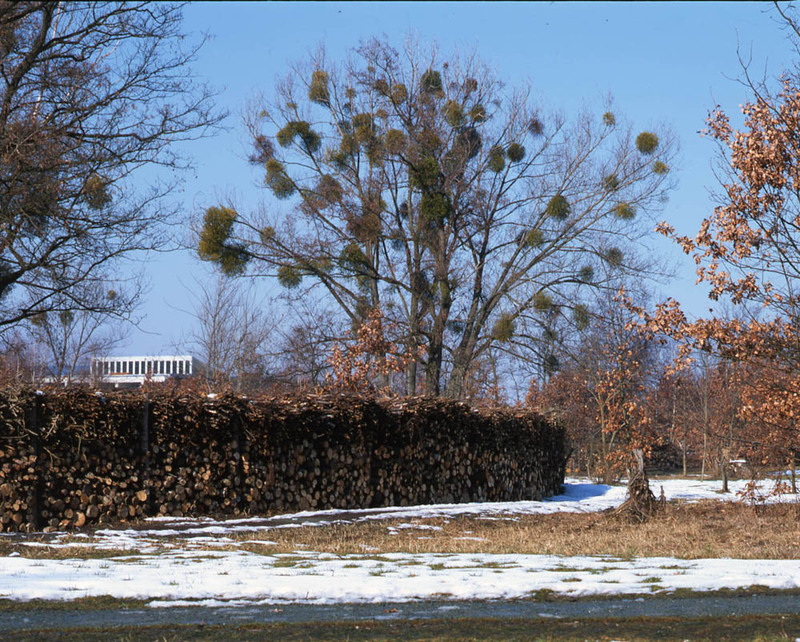 These ‘islands’ are surrounded by fascines and are now used by the University of Brandenburg as research locations. However, despite the no-go areas, the circa 5-km-long network of paths gives visitors the feeling that they are free to wander wherever they wish. 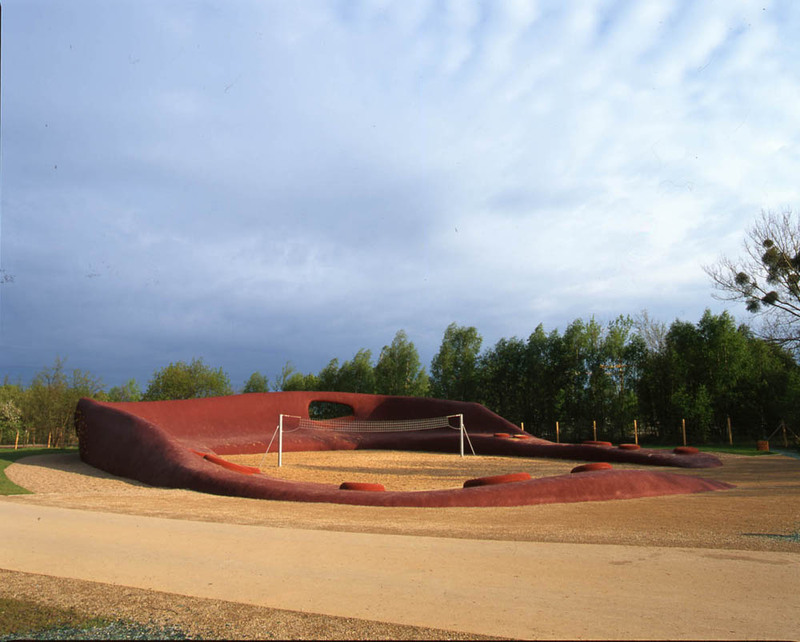 The activity areas were concentrated on the park’s periphery, around four ‘terminals’: large, brick-red concrete elements equipped with slides, climbing holds or trampolines. Images of these photogenic objects have frequently been published in magazines, from Elle Tuinen (Elle Gardens) to the French journal AMC Le Moniteur architecture. Their form and use are not immediately clear at first glance. This is indeed their strength: you can sit, sunbathe or picnic or just look around; they can be used as décor for theatrical productions or outdoor concerts. 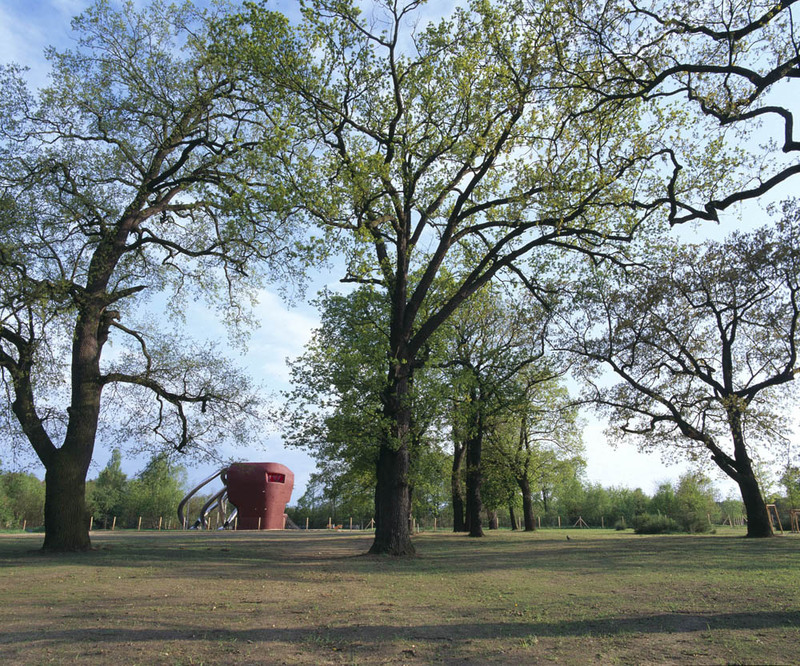 The magical attraction of the terminals brings the recreational function of the Waldpark into focus – only nature lovers wander deeper into the park.